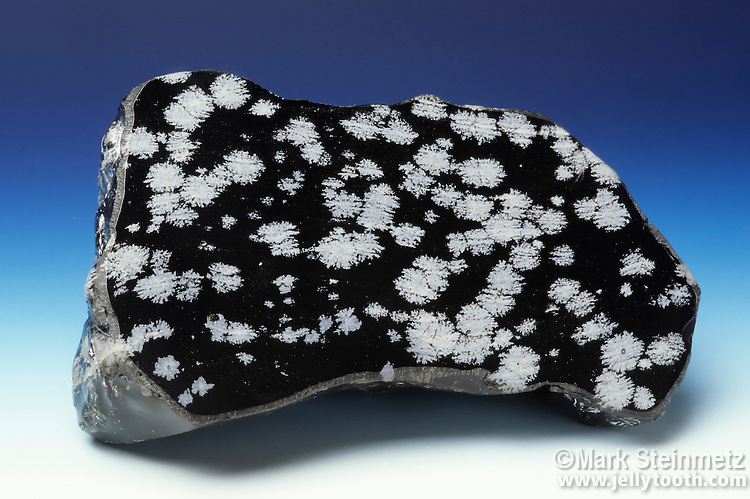 Snowflake obsidian. Extrusive igneous rock found in areas of recent vulcanism. The snowflake-like blotchy spots (spherulites) are inclusions of radially clustered crystals of cristobalite (a form of quartz).